All the hidden object genre fans unite to save the world and bring it back to the correct order! 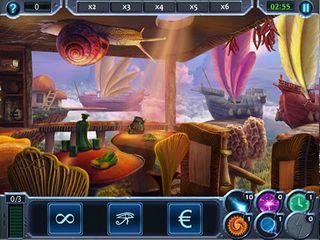 Hidden Numbers: Twisted Worlds challenges you to time travel and find all the hidden items in quite a lot of different locations around the world. 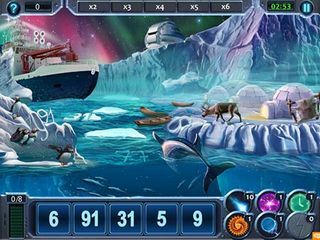 The scenes randomely scatter the hidden objects every time you want to play them multiplying the number of the scenes you can play. The course of history was interrupted by an unknown event causing a confusion of the world's main periods because of a colision of two worlds. But the good news is that htere is a time machine that can take you back in time to set all the periods straight and in the correct order. The locations that you visit may appear in either their actual known to us state or their mystical version. You are usually looking for the core items of a particular time and place (except fo rthe numbers, I guess). The search list is usually numbers, symbols, or letters. The scenes randomely scatter the hidden objects every time you want to play them multiplying the number of the scenes you can play. As you ploceed through the game you cover some of the main events in different areas of our civilization, like science, politics, philosophy etc... The game also offers a suggestion of where each particular area may go next in its development. This game is not only free it is also quite a social place to hang out in with your friends. You can invite them to join you on this journey and exchange gifts and collectible items with each other. Moreover, the more friends join you, the bigger reward is awaiting for you. 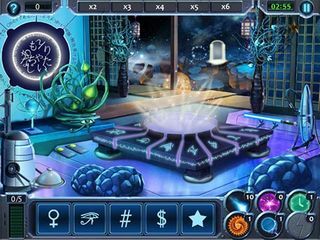 Hidden Numbers: Twisted Worlds is a fun sci-fi hidden object game for both kids and adults and a good thing to remember: you can't beat free! It is worth checking out this hidden object game and see if you want to have it on your device to be able to use it when you have time to kill. This is Hidden Numbers: Twisted Worlds review. Download this game here.